Lawn renovations are among the more common maintenance projects we perform. 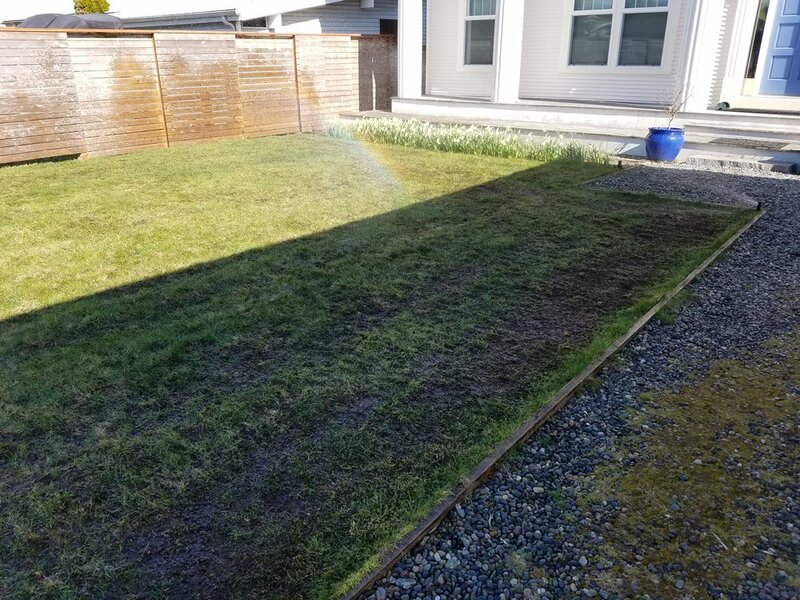 This service includes aeration of compacted soils and removal of excess grass, moss and weeds by de-thatching. We fastidiously rake up and remove all debris. Utilizing the highest quality seed ensures toughness through the seasons and covering with compost maintains moisture through germination. The next layer is a rich organic fertilizer supplied from a local resource. We then finish with a lime layer to raise the PH for lawn health.